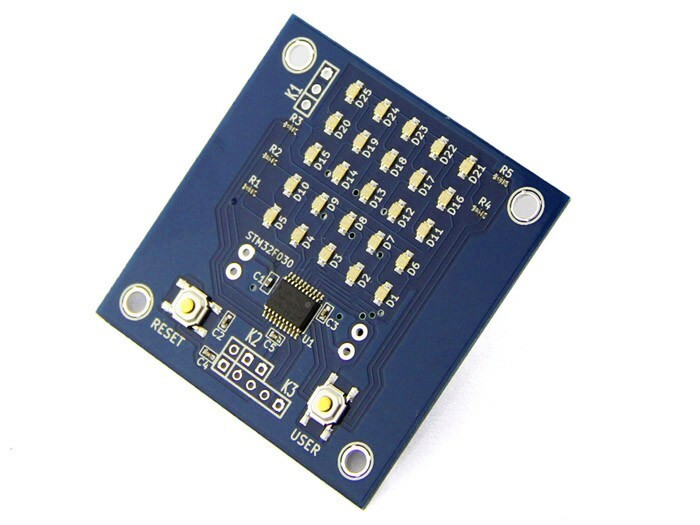 Introduction: FSM-55 (Flying Stone Mini 55) is a small board to play 5x5 LED matrix display. It was named after its LED matrix. When you pronounce it, please say, F-S-M "Go" "Go", since "Go" is the pronunciation of 5 in Japanese. This board is a kit; it comes with a battery holder, you need to solder the battery holder to the board by yourself. 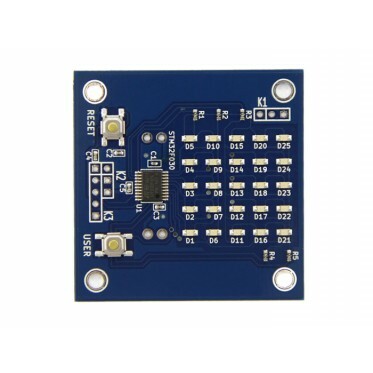 It carries STM320F0F4 micro-controller, which has ARM Cortex-M0 core. It is battery powered. You can modify its firmware via its debug port. The purpose of FSM-55 is to encourage more people to join development of free software and free hardware design. Its schematic and PCB design are available as free hardware design. Example firmware installed is "Hacker emblem in action", and it's source code is under GPLv3. See: git.gniibe.org Its features are intentionally limited, so that people can be inspired to design their own boards/applications by themselves. 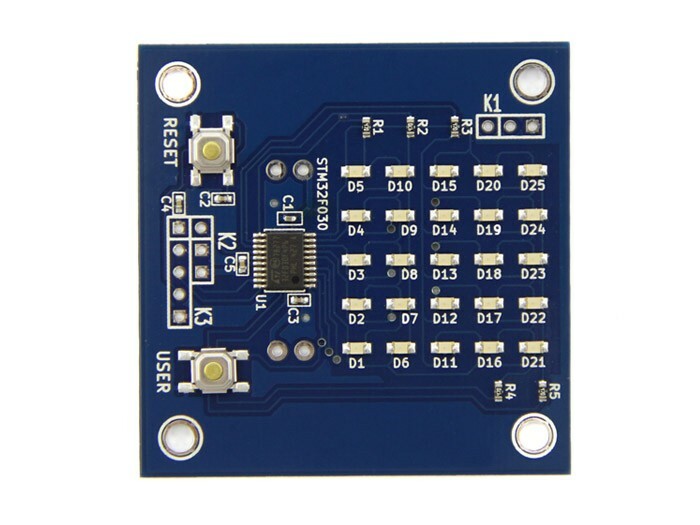 Features: Board dimension: 5cm x 5cm, approximately Battery: CR2032 (not included) Running at 48MHz: With internal RC OSC Flash ROM: 16KiB SRAM: 4KiB RESET button and USER button External port K1: PF0 (USER button), PF1, GND External port K2: PB1, GND, VDD Debug port K3: VDD, SWDIO, SWDCLK, NRST, GND If you encounter any problems when using this product, here is the contact from which you can get the technical support.